AT&T made over $800 million in wireless data revenue last fall, thanks to a glut of new 3G users. Unfortunately, that also puts extra strain on their already-clogged data pipes. And we've still got all that iPad traffic ahead. 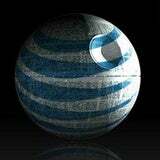 AT&T's plans to fix things up include a $2 billion increase in the amount of spending on their wireless network, and an increased focus on HSPA 7.2 (which the iPhone 3GS runs on) and LTE deployment. They expect the "majority" of mobile data to be on fiber-based backhaul (that's a good thing!) by the end of 2010, but honestly that long a time horizon makes me nervous. There'll be a call at 10am EST to discuss earnings results further, and we'll listen in for any more interesting tidbits. In the meantime, the full release is below. Note: AT&T's fourth-quarter earnings conference call will be broadcast live via the Internet at 10 a.m. ET on Thursday, Jan. 28, 2010, at www.att.com/investor.relations. Dallas, Jan. 28, 2010 – AT&T Inc. (NYSE:T) today reported fourth-quarter results highlighted by solid momentum across key growth areas. Wireless service revenues grew 9.2 percent, driven by industry-leading subscriber growth and continued rapid adoption of data services. AT&T U-verse subscriber gains topped 1 million for the year. Wireline IP-based services and strategic business products both posted strong double-digit revenue growth. Progress in these areas and continued solid execution of cost initiatives offset expected declines in legacy voice and print advertising products. Fourth-quarter revenues totaled $30.9 billion, net income attributable to AT&T was $3.0 billion, diluted earnings per share totaled $0.51 and cash from operating activities totaled $9.0 billion. "We had a solid 2009 and led the industry in the biggest growth driver – mobile broadband," said Randall Stephenson, AT&T chairman and chief executive officer. "Looking ahead, customer demand for connectivity, particularly mobile broadband and IP data, continues to be strong, and AT&T is well positioned at the center of this growth. Our fundamental outlook for the business is quite positive. "Our significant investments in IP infrastructure – both mobile and fixed – provide the next-generation growth platforms for us," Stephenson said. "Our leadership in mobile broadband will continue to set us apart as we roll out even faster 3G speeds this year and begin deploying 4G capabilities in 2011. Our IP-based U-verse service continues to scale nicely, improving our consumer revenue profile. And we continue to see solid growth from mobile broadband and IP data services in the business segment." For the quarter ended Dec. 31, 2009, AT&T's consolidated revenues totaled $30.9 billion, compared with $31.1 billion in the year-earlier quarter and up slightly from the third quarter of 2009. This marked AT&T's third consecutive quarter with a sequential increase in consolidated revenues. AT&T's operating expenses for the fourth quarter of 2009 were $26.0 billion versus $26.2 billion in the year-earlier period. Operating income was $4.9 billion, compared with $4.9 billion in the fourth quarter of 2008, and AT&T's operating income margin was 15.8 percent, the same as in the year-earlier quarter. Net income attributable to AT&T totaled $3.0 billion, compared with $2.4 billion in the year-earlier quarter, and earnings per diluted share totaled $0.51, compared with $0.41 in the fourth quarter of 2008. In addition to solid operational performance, fourth-quarter 2009 results reflect severance charges related to workforce reductions totaling $330 million, or $0.04 per share, offset by $0.04 of benefits to earnings per share from tax audits and judicial developments. Year-over-year comparisons reflect incremental noncash pension and retiree benefit expenses in the fourth quarter of 2009 of approximately $250 million, or $0.03 per diluted share. Fourth-quarter 2008 results included a severance charge of $617 million, or $0.07 per diluted share, related to workforce reductions and a charge of $445 million, or $0.05 per diluted share, for merger-related trust investment losses. Both quarters' severance charges are primarily reflected in the Other segment of AT&T financial statements. For the full year 2009, compared with 2008 results, AT&T's consolidated revenues totaled $123.0 billion versus $124.0 billion; operating expenses were $101.5 billion, compared with $101.0 billion; net income attributable to AT&T was $12.5 billion versus $12.9 billion; and earnings per diluted share totaled $2.12, compared with $2.16. Compared with 2008 results, AT&T's full-year cash from operating activities totaled $34.4 billion, up from $33.7 billion; capital expenditures totaled $17.3 billion versus $20.3 billion; and free cash flow (cash from operations minus capital expenditures) totaled $17.1 billion, up from $13.3 billion. AT&T's 2009 cash from operations and free cash flow were the company' best-ever annual totals. * Strong Subscriber Gains. In the fourth quarter, AT&T posted a net gain in total wireless subscribers of 2.7 million, the second highest quarterly net add total in the company's history, reflecting rapid adoption of smartphones and emerging devices such as eReaders, netbooks and navigation devices. Full-year wireless net adds totaled 7.3 million, equaling the company's best-ever annual total, to reach 85.1 million subscribers in service. Retail postpaid net adds totaled 910,000 for the quarter and 4.3 million for the full year. * Best-Ever Fourth-Quarter Subscriber Churn. Average monthly subscriber churn improved to best-ever fourth-quarter levels. Postpaid churn was 1.19 percent, down from 1.20 percent in the year-earlier quarter; total churn was 1.44 percent versus 1.64 percent in the fourth quarter of 2008. This marked AT&T's sixth consecutive quarter of year-over-year improvement in both total and postpaid wireless churn. * Sustained Robust Growth in Wireless Data Revenues. Wireless data revenues – from messaging, access to applications and related services – increased $805 million, or 26.3 percent, from the year-earlier quarter to $3.9 billion. Versus the year-earlier quarter, total text messages carried on the AT&T network increased 70 percent to 135 billion and multimedia messages more than doubled to more than 2 billion. * Eighth Consecutive Quarter of Postpaid ARPU Growth. Driven by strong data growth, postpaid subscriber ARPU increased 2.6 percent versus the year-earlier quarter to $61.13. This marks the eighth consecutive quarter AT&T has posted a year-over-year increase in postpaid ARPU. Postpaid data ARPU reached $19.16, up 17.5 percent versus the year-earlier quarter. * Strong Growth in 3G and Integrated Devices. Key drivers of AT&T's wireless data growth are increased penetration of integrated devices (handsets with QWERTY or virtual keyboards in addition to voice functionality) and greater usage of the company's extensive 3G network. The number of postpaid 3G integrated devices on AT&T's network increased by more than 4 million in the fourth quarter and nearly tripled over the past year. At the end of the year, 46.4 percent of AT&T's 65.1 million postpaid subscribers had integrated devices, up from 27.0 percent a year earlier. AT&T's fourth-quarter integrated-device growth included 3.1 million iPhone activations, the second highest quarterly total to date, with more than a third of the activations for customers who were new to AT&T. The average ARPU for integrated devices on AT&T's network continues to be 1.8 times that of the company's nonintegrated-device base. * Leadership in Emerging Devices. AT&T's fourth-quarter subscriber gains also reflect strong growth in wireless connectivity for emerging devices including eReaders such as the Amazon Kindle, the Sony Reader Daily Edition™ and the Barnes & Noble nook. Total emerging devices on AT&T's wireless network increased by more than 1 million in the fourth quarter, its strongest quarter in this category to date, predominantly reflected in reseller subscriber totals. * Wireless Margin Improvement. AT&T delivered year-over-year margin expansion and sequential margin stability in the fourth quarter – reflecting continued low churn, improved operating efficiencies and further growth in the company's base of high-quality subscribers. Fourth-quarter wireless service revenues totaled $12.6 billion, up 9.2 percent from the fourth quarter of 2008, and operating expenses totaled $10.4 billion, up 2.4 percent versus the year-earlier quarter. Versus the fourth quarter of 2008, wireless operating income was $3.4 billion, up 27.4 percent; wireless operating income margin was 24.7 percent versus 20.9 percent; and wireless OIBDA service margin was 38.8 percent, compared with 35.8 percent. U-verse and bundled satellite customers, reached 4.2 million at the end of the year, representing 16.0 percent of households served. * Improved Broadband Growth. AT&T U-verse broadband continued its strong growth with a net gain of 267,000 wireline consumer subscribers in the fourth quarter. This growth, combined with continued solid gains in standalone broadband, more than offset declines in traditional DSL connections for a 167,000 net gain in consumer wireline broadband connections. Total broadband connections, which include business and consumer wireline subscribers and wireless customers with 3G LaptopConnect cards, increased by 171,000 in the quarter to reach 17.3 million. * 31.8 Percent Growth in Revenues from Consumer IP-Based Services. Increased AT&T U-verse penetration drove 31.8 percent year-over-year growth in consumer IP revenues (broadband, U-verse TV and U-verse Voice) and a 3.7 percent increase in revenues per household served. Consumer IP revenues now represent 34.7 percent of AT&T's consumer wireline revenues, up from 25.3 percent in the year-earlier quarter. AT&T's combined wireline consumer TV and broadband connections increased by 394,000 in the quarter and 1.8 million over the full year 2009. AT&T U-verse Voice connections increased by 219,000 in the quarter and 730,000 for the full year 2009. AT&T's total consumer revenue connections at the end of the year were 45.3 million, compared with 45.7 million at the end of the third quarter of 2009 and 47.0 million at the end of 2008, reflecting declines in traditional voice access lines partially offset by increases in broadband, TV and VoIP (Voice over Internet Protocol) connections. * Mid-Teens Percentage Growth in Revenues from Strategic Business Services. Revenues from new-generation capabilities that lead AT&T's most advanced solutions – including Ethernet, VPNs, hosting, IP conferencing and application services – grew 17.0 percent versus the year-earlier quarter, continuing trends of recent quarters. Total business revenues declined 5.5 percent versus the year-earlier quarter, reflecting economic weakness in voice and legacy data products, and were down just 0.4 percent versus the third quarter of 2009 – their best sequential comparison in five quarters. * Improved Growth in Business IP Revenues. Business IP data revenues grew 7.3 percent versus the year-earlier fourth quarter, led by better than 20 percent growth in VPN revenues. Approximately two-thirds of AT&T's frame customers have made the transition to IP-based solutions, which allow them to easily add managed services such as network security, hosting and IP conferencing on top of their infrastructures. * Improved Wireline Revenue and Margin Trends. Fourth-quarter total wireline revenues were $16.2 billion, down 5.3 percent versus the year-earlier quarter and down 0.9 percent sequentially – the company's smallest declines in four quarters. Fourth-quarter wireline operating expenses totaled $14.3 billion, down 2.7 percent from $14.7 billion in the year-earlier quarter, as productivity improvements offset expenses associated with AT&T U-verse expansion and incremental noncash pension and retiree benefit costs, which totaled $236 million in the quarter. Compared with the year-earlier quarter, AT&T's fourth-quarter wireline operating income totaled $1.9 billion versus $2.4 billion, and the company's wireline operating income margin was 11.6 percent versus 14.0 percent.